Tourism in Skiathos is very popular. In fact, this is the busiest of the Sporades islands, famous for the endless beaches and lush greenery. Skiathos is known for the vivid nightlife and the wild parties, which is why Skiathos vacation is very popular among young crowds. Skiathos keeps a great part of its traditional character, that can be seen in the main town as well as the other villages. It is an island with strong vibes and interesting features. Skiathos tourism can be combined with the close islands of Skopelos and Alonissos. There is no tourism office in Skiathos, but there is a tourist police offering immediate assistance to tourists. 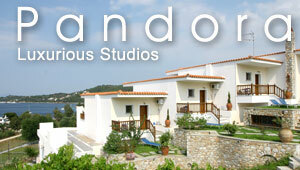 Book your hotel in Skiathos. Various types of accommodation proposed. Rent a yacht and combine your sail to Skiathos with other destinations. Find out useful information on how to organize your travel to Skiathos.